Ecuador: 'Assange fears legitimate' Jump to media player Wikileaks founder Julian Assange is granted asylum by Ecuador, two months after he took refuge in its London embassy while fighting extradition from the UK. 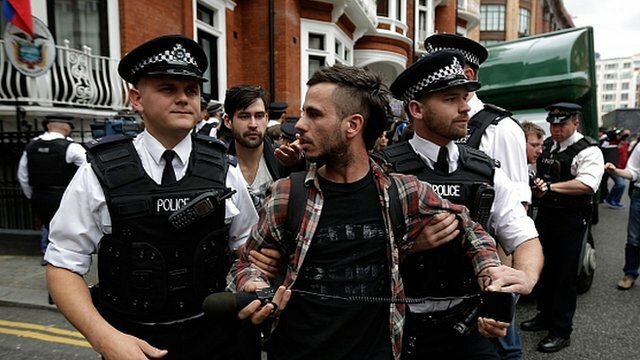 Scuffles outside Ecuador embassy Jump to media player Shortly before Ecuador announced it would give Wikileaks founder Julian Assange asylum, there were scuffles outside the embassy in London where he has been living. 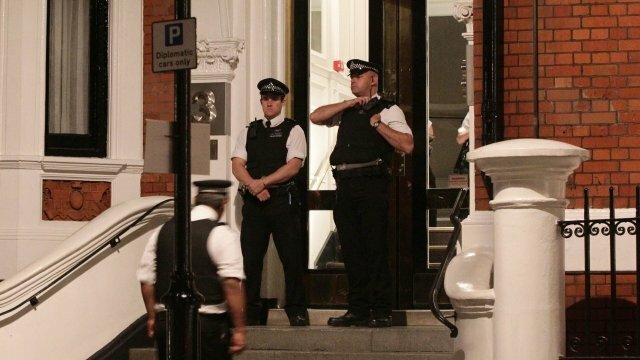 UK in 'threat' to arrest Assange Jump to media player Ecuador has accused the UK government of threatening to enter its embassy in London to arrest Wikileaks' Julian Assange, ahead of an announcement on his asylum request. Julian Assange has been granted asylum by Ecuador, two months after he took refuge in the country's London embassy while fighting extradition from the UK. Explaining the decision, Ecuador's Foreign Minister Ricardo Patino said neither the UK, Sweden or the US could guarantee that the Wikileaks founder would not face further prosecution in America about releasing secret documents through his website. 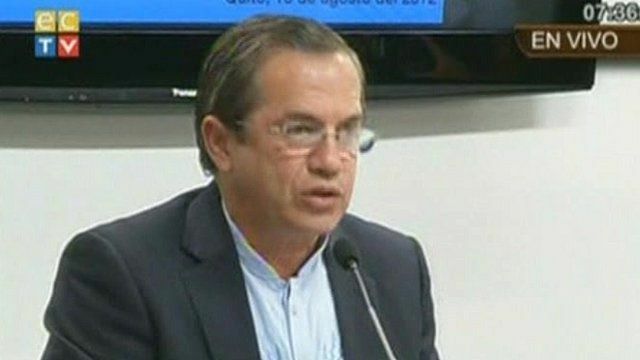 Mr Patino told a news conference in the Equadorean capital Quito: "We believe that his fears are legitimate and there are the threats that he could face political persecution".